What could the dead tell you if they were still here? Well – don’t just wonder. Dig them up and ask them! 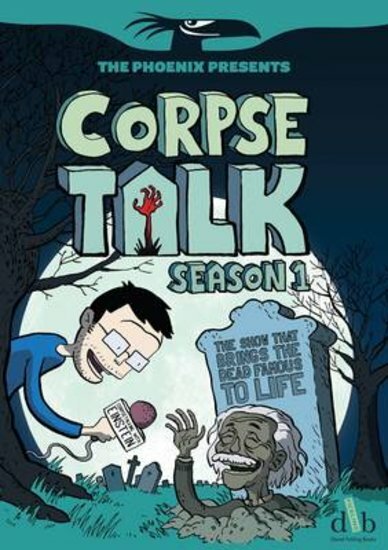 That’s exactly what host Adam Murphy does in his ultra-freaky TV chat show, Corpse Talk. OK: these famous folk might not smell quite as fresh as they once did. And they have a bad habit of cracking dead awful jokes. But like most people, they love talking about themselves! Stop in for a natter with Genghis Khan, Winston Churchill, Nikola Tesla, Marie Curie, Jane Austen and other late greats. Horrible Histories gone zombie. A graphic novel where the dead famous come back to life!